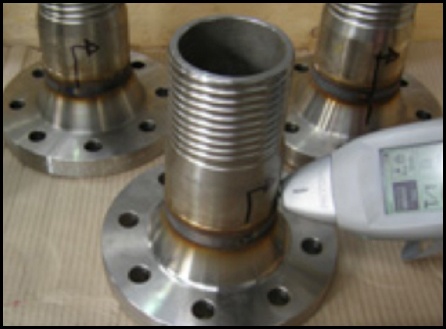 Positive Material Identification (PMI) is the analysis of a metallic alloy to establish composition by reading the percentage quantities of its constituent elements. 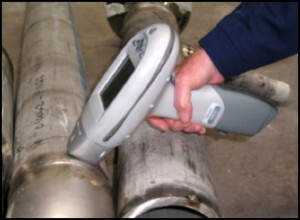 The object of this nondestructive testing method is to identify metal alloys in place using a portable X-Ray fluorescent analyzer that determines the elemental composition of the material. 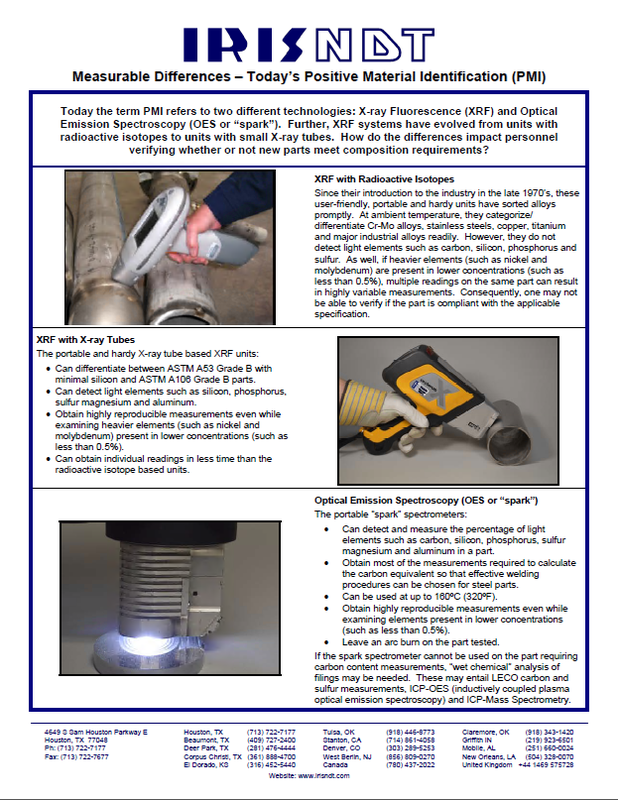 Typical methods for PMI include X-ray fluorescence (XRF) and optical emission spectrometry (OES). IRISNDT carries out PMI using the latest portable analyzers. All analyzers have a margin of error that varies by element and activity of the radioactive source. The identification of small amounts of a specific element in an item can be difficult. Test results are summarized in an inspection report.